In 2019, only variant of Toyota Hilux comes at the price of Rs. 89 Lakhs in Nepal. United Traders Syndicate (UTS), the sole authorized distributer of Toyota cars and vehicles in Nepal, are currently selling single variant of Toyota Hilux. As expected in any pickup vehicle, it comes with diesel engine of 2755cc. Hilux has become so popular in Nepali market that, it has become synonym to pickup vehicles. It is one of the most selling model of Toyota in Nepal. Here is the list of Toyota Hilux price in Nepal for 2019. This price list includes all variants of Toyota Hilux pickup vehicles sold by UTS in Nepal. Please note that above price of Toyota Hilux is subjected to change and is for reference purpose only. Kindly contact Toyota Nepal to get the latest showroom price. Note: Toyota Hilux price list last updated on February 10, 2019. Hilux is a light commercial pickup vehicle manufactured by Japanese company Toyota. It is quite popular as a pickup vehicle since ages; not just in Nepal but globally as well. 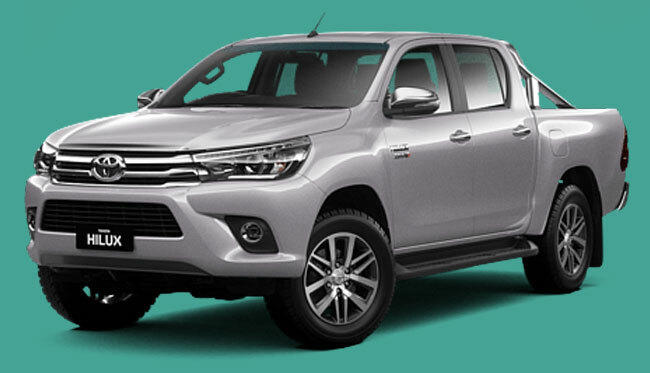 Currently available models of Toyota Hilux are from eighth generation. First generation came during 1968. It is heavily used in the field of construction, telecom maintenance, military due to its exceptional sturdiness, durability and reliability. In Nepal, it competes with likes of Nissan Navara, Ford Ranger, Volkswagen Amarok, Isuzu D-max etc. Toyota Hilux in Nepal comes with 2755 cc diesel engine with 6-speed manual transmission. The model number of this vehicle is GUN126R-DTFHH. It is available in double cab only, which is the most looked after model. Toyota Hilux 2.8L model has the fuel tank capacity of 80 liters and gives mileage of around 7-9 kmpl in semi-urban or urban areas. Mileage of this Toyota Hilux in standard condition is around 11 kmpl (8.5liter/100km). It has a good ground clearance of 225mm. It comes with four wheel drive (4WD), which makes it quite eligible for even rough rural terrains. Therefore, Hilux is worth the price. You can message us your queries regarding Toyota Hilux price in Nepal or its specifications, features at our Facebook page.